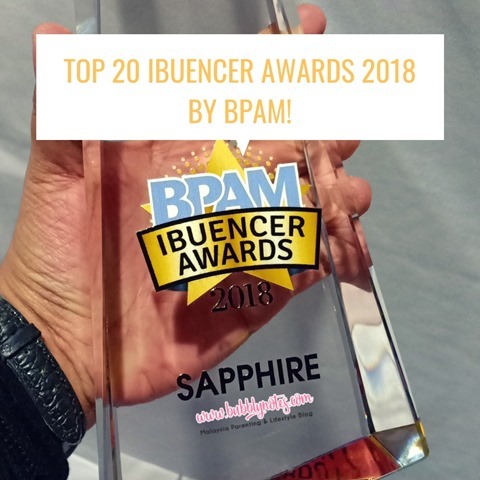 Home » Featured , home , home improvement , home wellness , lifetsyle , mommyhood , motherhood , parenthood , parenting , parenting guide , parenting sharing , parenting tips , wellness » Getting Creative with Your Kids’ Room Makeover! Getting Creative with Your Kids’ Room Makeover! It is no surprise that children spend a lot of their time in their bedroom. Used for sleeping, playing and working, it follows that their space should be a reflection of their little personalities. As they grow up, they start to develop a sense of self and become more expressive particularly with their own personal preferences. It goes without saying, as they grow up, their surrounding environment plays a vital role in their growth development. 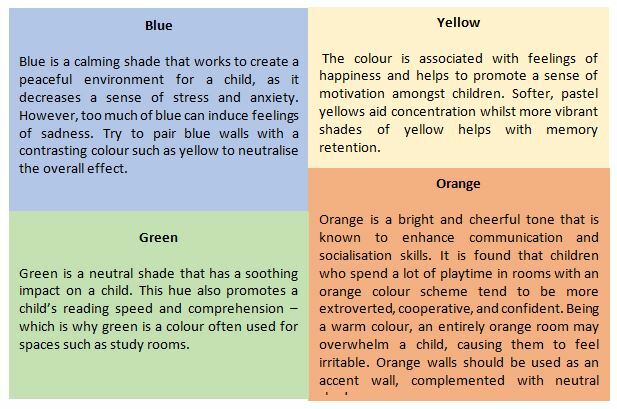 Hence, it's important for parents to take note of the colours that impact a child's growth to create a conducive environment for them. Children are most receptive to colours that are beneficial to their behavioural and cognitive growth. Various colours of the spectrum can also boost a child's creative mindset, thus enabling a positive experience during their growth journey. 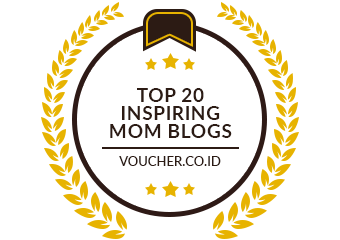 So, why not surprise your child (or children!) with a room makeover decked out in colours that complement their growth journey! 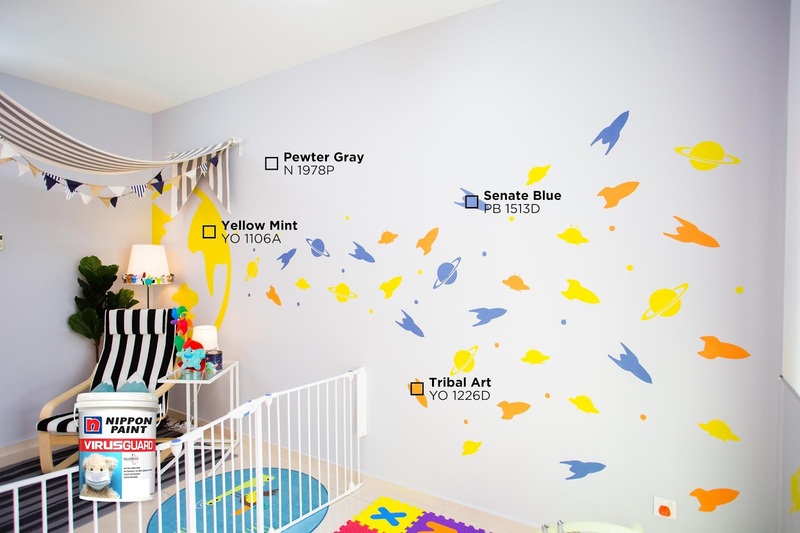 Apart from the fresh splashes of colours on the wall, you can also add a personal touch to the makeover process by decorating the walls with fun patterns, stencils, and designs that reflect your kids' favourite cartoon characters! Here are some sparks of inspiration to kickstart the makeover process! 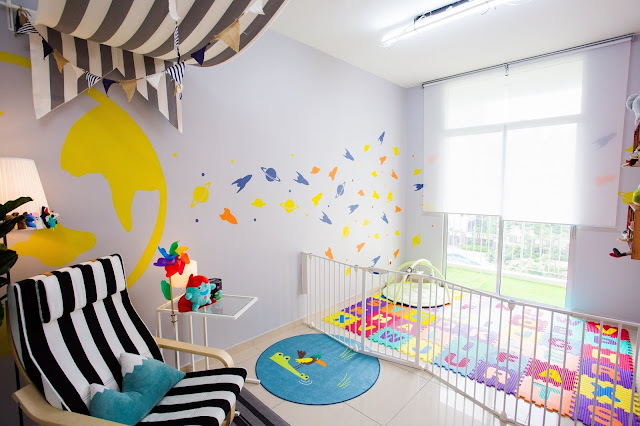 In the instance you have children sharing a space, be it a play area, study room, or a bedroom but with different preferences in terms of their likes and dislikes, why not merge their preferences to bring together the best of both worlds? That way, children are more willing to spend time learning and playing in a thriving environment filled with colours which helps spur their creative mindset. Why not redecorate the room with the help of your little ones? 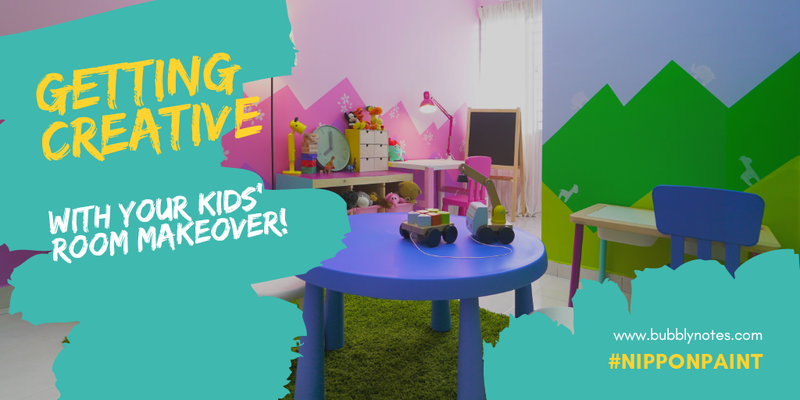 They'll be able to lend a helping hand and at the same time, have the chance to freely express their creativity and imagination through murals or stencilling on the walls - leaving them with a sense of accomplishment upon completion of the makeover project! Here are some tips to consider when redecorating your child (or children's spaces)! Use a Splash of Colours! Don't limit your room theme to one solid colour - why not take your creativity to the next level by exploring contrasting colours for the space instead? Ask your child what his or her favourite colours are as inspiration for the makeover! Whilst a child's study room or play area should exude an overall vibrant and cheerful vibe, it shouldn't be overly stimulating. If the walls are splashed with brighter hues, complement the space with neutral colours or wooden furnishings. Take advantage of the space and set up designated corners for the kids to curl up with their favourite book or for them to enjoy some 'me' time. Throw in a bean bag or two! Use stencils of their favourite shapes and characters for a personal touch to their walls! Why not do up a chalkboard area in their favourite colour for the kids to express their creativity by using Nippon Paint Satin Glo - a fuss-free solution for both parents AND kids! Keep Them Safe and Sound! 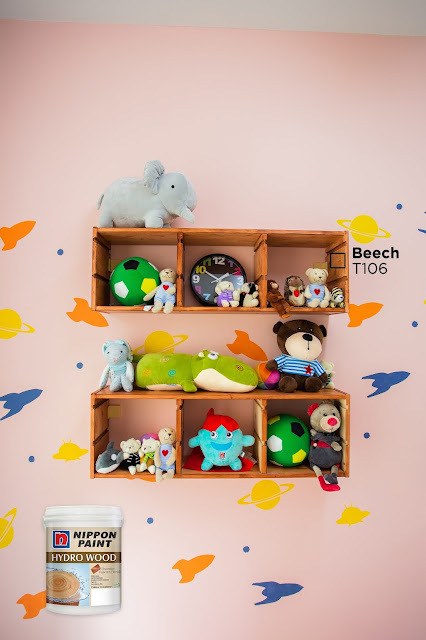 Use functional paints that absorb harmful formaldehyde in the air to ensure a cleaner indoor environment for the little ones, or paints that reduce the spread of viruses and bacteria. Also, remember to go for odourless paints which have low Volatile Organic Compound - plus, it's eco-friendly and definitely safer for children! 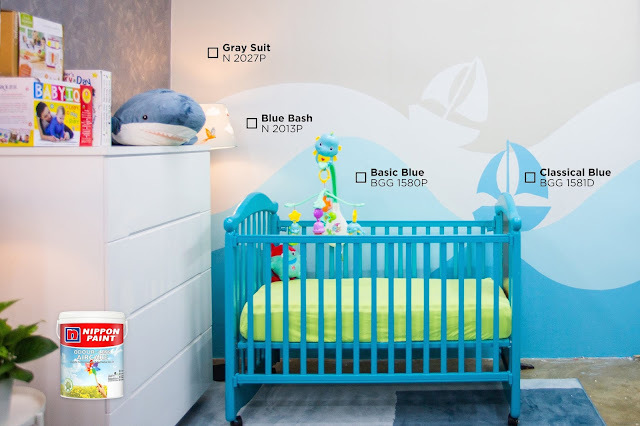 Opt for the Nippon Paint Child Wellness Range which promotes creativity, safe touch and clean air. If You're Unsure of Which Colour Suits Them Best, Consider These Shades!